Parker is one of those legacy brands that has the old-school, iconic look down while still doing a great job staying current and on-trend. They've always been good about keeping their products accessible for new enthusiasts and desirable for long-time collectors. The IM line of fountain pens walks that line between old and new and does it with class. It has the sleek lines of a modern pen with all the character of its vintage ancestors. 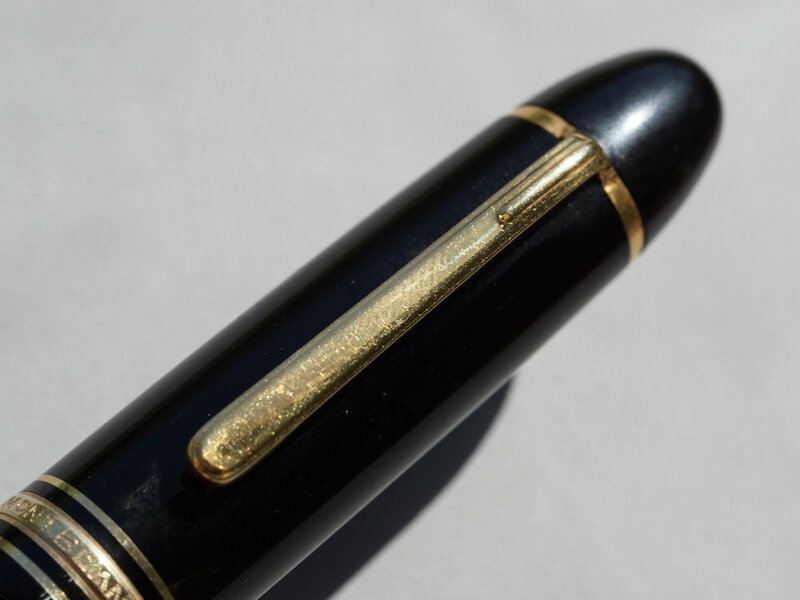 The pen body is made from varnished brass, this one with a brushed purple finish. It has chrome accents on the top of the cap, bottom, and cap band. The grip is black plastic and is comfortable to hold. It has the classic Parker arrow clip. It's a good size--not overly small or too big. It's a bit weighted toward the nib end, but when the cap is posted, it feels well balanced. The cap has a plastic liner that prevents any scratching from posting. The nib is a fairly plain, small steel nib. At first sight, it looks a bit odd--almost too small for the pen. It performs well, though. It writes smoothly with a good amount of wetness and just a bit of feedback. I did get some drying when I didn't use it for a few days, but with a bit of prompting, it started back up and wrote nicely again. It takes either Parker cartridges or a converter, which is probably the main downside to this pen. Parker ink is great, but the colors are very limited. The converter is necessary, I think, but doesn't come with the pen. That boggles my mind with proprietary converters--I think they should always be included. To get one, you'll have to plunk down another $9.25, which seems high. So while the price of the pen is good at $41, it's really a $50 unless you like to write in only blue or black. That price is still good for a good writer, though, and it's in the range for a nice gift, or for a step-up from an entry-level pen. Apart from the lack of included converter, my only complaint about the pen is that the arrow on the clip is a bit too sharp. A bit too much like an actual arrow, perhaps. It has stabbed through my clothes a few times and those arrow barbs made it almost impossible to get back out without tearing the fabric. So be careful what you clip it to! There are lots of attractive colors and designs available, and a premium design line for a bit more cost. I think these are great pens for graduation gifts, workaversaries, or for someone who has decided to take their interest in pens beyond the entry level. 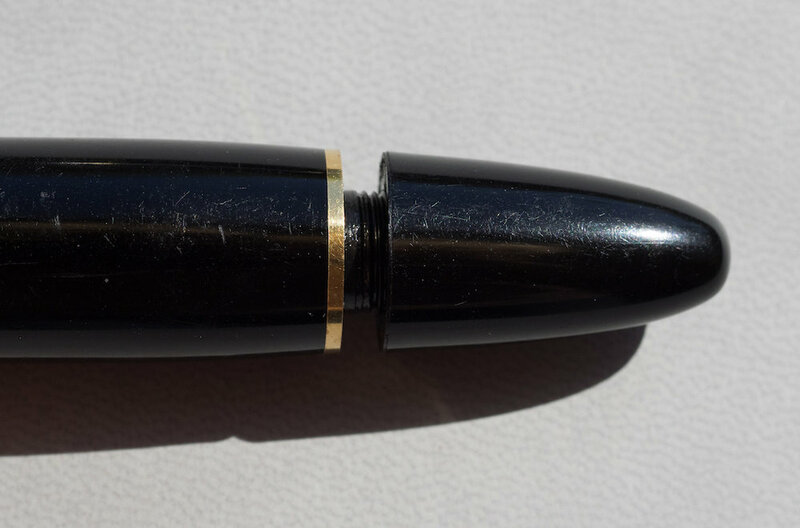 Posted on April 18, 2019 by Sarah Read and filed under Parker, Fountain Pens, Pen Reviews. Let me introduce you to Walter, my 1970s Montblanc 149. I looked long and hard for just the right 149. I knew I didn’t want a modern one. I wanted one that was lovingly used with a 14k nib with some bounce to it. 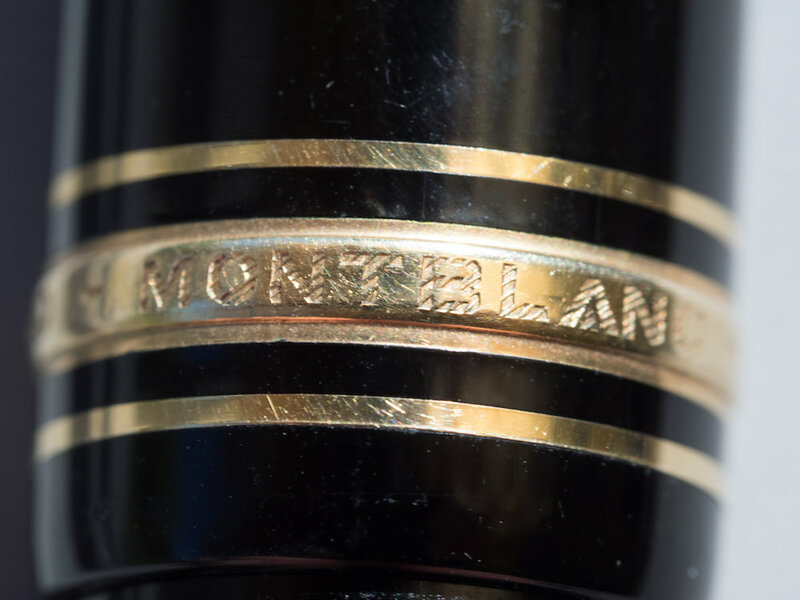 I chanced upon some desirable Montblancs on the Fountain Pen Geeks “For Sale” forum. But they were all sold before I could snag one. The seller, Barry Gabay, let me know that he had some others I might be interested in. 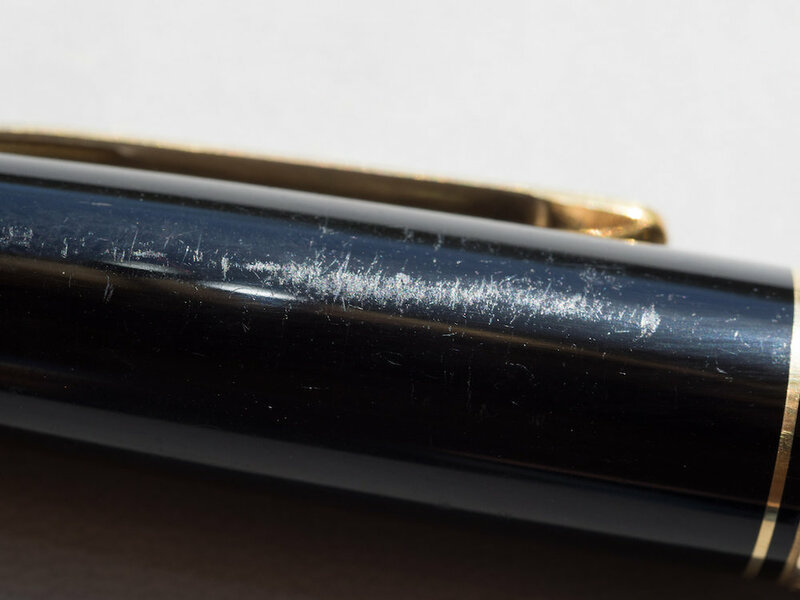 Sure enough, he had a 1970s Montblanc 149 with a bouncy 14k nib. I bought it, completely unaware that I was purchasing it from the editor of Pen World Magazine! When the pen arrived, I immediately fell in love. When I fall in love with a pen, I usually give it a name. There was no question he would be named “Walter.” I am a rabid Breaking Bad fan, and this gorgeous black 149 made me think of Walter White in his Heisenberg Pork Pie hat. Of course, my Walter isn’t an evil meth maker, he’s just an innocent victim of my fountain pen addiction. Like Walter White, my Walter has a few bruises and scars. These do not bother me in the least--in fact, I love that Walter’s finish bears marks of use. It gives him character. The 149 is a large pen, measuring 5.8 inches/147mm capped, 5.2 inches/132mm uncapped, and 6.6 inches/168mm posted. It is perfectly balanced, and I adore large pens. My 149 has plastic piston threads, and the piston works flawlessly--as smooth as Heisenberg talking himself out of a tight situation. The cap has a simple clip, somewhat brassed, but that’s what a rough life will do to you. The cap ring is engraved with Montblanc Meisterstück No. 149. “Germany” appears in tiny letters on the clip band. The most stunning thing about any MB 149 is the enormous nib. This gorgeous hunk of 14k gold is tritone with beautiful scrollwork, the Montblanc logo, and the number 4810 (the height in meters of Mont Blanc). 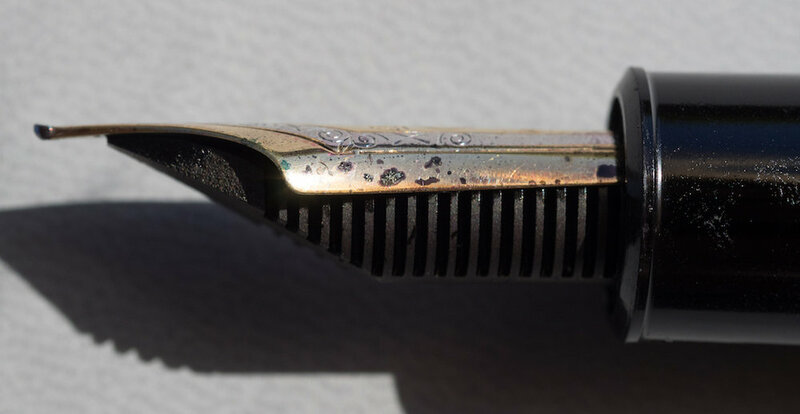 The nib is a medium and is juicy, smooth, and bouncy. The solid ebonite feed supplies plenty of Kobe Mikage Grey ink to the nib. Walter is a delightful writer. He and I have collaborated on some rather dark poetry and prose. 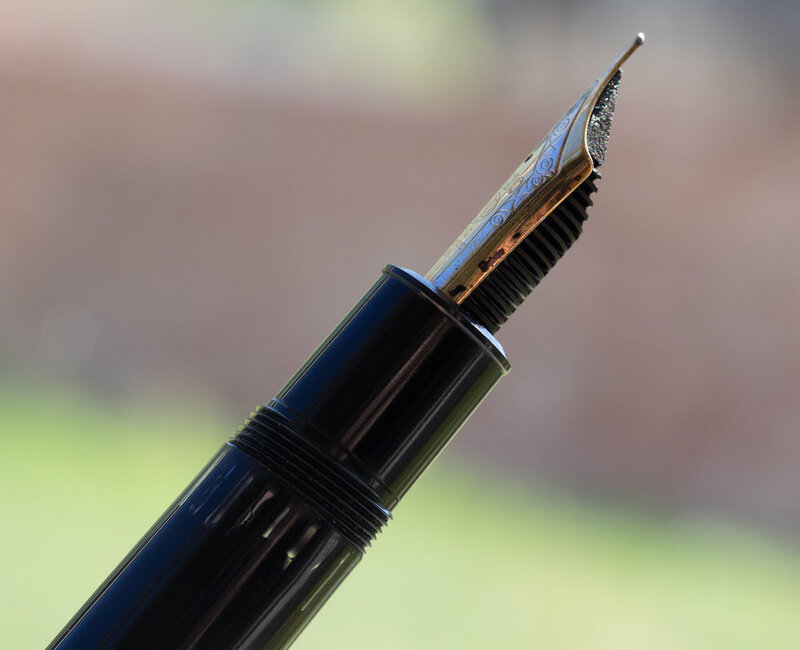 Posted on April 5, 2019 by Susan Pigott and filed under Montblanc, Fountain Pens, Pen Reviews.